Lets you join single, girls, teens or music chat rooms for free! It has been around for nearly 20 years and keeps expanding! 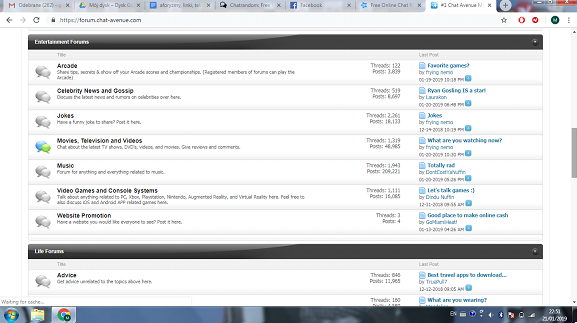 Chat Avenue is always active and always full of people wanting to have a chat! It’s constantly monitored and those who break the rules or behave in ways that are prohibited by the chat’s terms and conditions can get banned. They launched an app, so apart from using its desktop version you can also download and begin to use their mobile app. The feature that makes them stand out is their selection of chat rooms made specifically for chosen demographics and the range is wide, being based on people’s gender, preference, occupation (college), hobbies or the device being used. The site has a very inviting vibe, seemingly focusing on keeping it safe and fun for everyone. You can have private conversations with people that are chosen for you in a chat roulette style - so you are randomly paired with a stranger and you can either skip and keep skipping until you find someone you want to talk to or chat with this person and see where the conversation goes! You don’t need to wait and wonder if the other person likes you. You either get a response or you find a new user. You can choose whichever way you want to become one of the users - make use of your webcam, microphone or neither and stick to texting! Each chat room has a different set of rules, so be sure to read them, as that’s crucial in letting each room stay what it is. The general requirement that applies to all of them is that you need to be at least 13 years old to participate. All races, genders and nationalities are welcome and can be sure to not be discriminated against. It’s a great tool to let you get acquainted with strangers, to learn new things about people, to get to know those that share your interests or views, and it’s easy to find those who are similar to you! But Chat Avenue is more than just a chatting site. The authors want to keep the community a community, where people know each other not only in a superficial way, but feel like they want to visit the website frequently and keep coming back to talk to their new friends. How to use Chat Avenue? 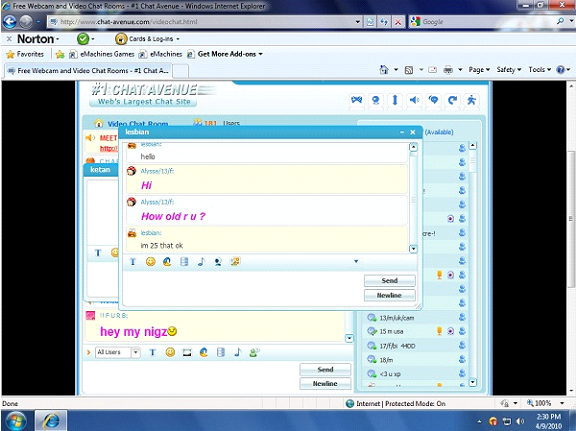 Chat Avenue was launched in 1999 and the layout is pretty traditional and simple. What makes them stand out is that you can reach people who are online at the same time as you, so there is no need to wait for the other person’s response. The conversations happen in real time. It is generally an English-speaking chat, full of people from countries where English is the first language, but you will surely stumble on users from different countries. 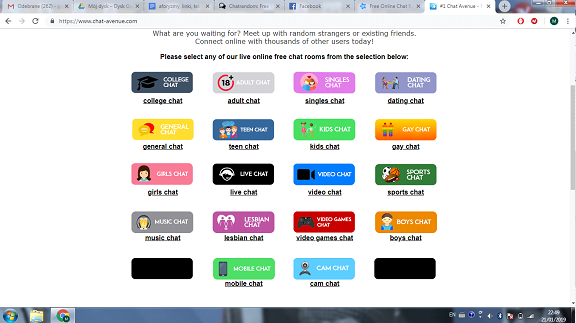 Chat Avenue is full of options, you can enter any chat room as long as you meet the age requirements (if there are any). Chat Avenue lets people use a number of specific chat rooms made for different groups, such as teens, girls, users interested in music, sports, wanting to date and more! There is a blog that posts about the world and some advice on how to stay safe online and use online chats. Apart from being a chat site with various chat rooms, it offers some other options, such as message forums, games and so on. The Chat Avenue Forum is very active and offers a lot of topics where people can introduce themselves, write their stories, discuss their interests and problems in a very complex way. Chat Avenue doesn’t limit people’s options - they can look for friends, dates or anything in-between, anything is encouraged, as long as it keeps people safe and is fun for them too! The major thing about this site is also that it’s entirely free, so all options are available to all users, nothing is hidden or needs to be paid for. How to make friends on Chat Avenue? Chat Avenue is a cool chatting site that lets you chat with random people online. You can send texts to them and have a ton of fun getting to know strangers from different parts of the world. Making friends always seems to be a challenge, doesn’t matter if you talk to people in real life, your colleagues or strangers on the street, or online. But you shouldn’t fear meeting people online on sites like omegle. Here on Chat Avenue, chatting might remove a lot of stress concerning your confidence or the lack of it - the person you meet online has most likely never met you, doesn’t have an opinion on you and is completely open to who you are, so you can present yourself in the best way possible. You don’t have to share embarrassing details on chatroulette sites, your secrets, failures or insecurities - you are a blank page to someone so try to make sure they remember you well and can’t wait to get to know you better! Do not be afraid to talk freely about your interests. Chat Avenue is full of people who are willing to listen. You can message them about anything. Choose to have a private conversation with someone and treat them like they’re your friends, remember that they don’t have any reasons not to like you - you are super cool after all! Get them interested in your hobby, but also listen to what they have to say. Chat like you are chatting with an old friend, relax, but let the other person be themselves, people appreciate potential friends who do it and this gives you some positive credit for sure! Chatroulette sites are great for seeing that there is always a whole range of different kinds of people that you can meet. Do not talk about the stuff you would rather omit. You don’t necessarily need to be completely honest with the other person. Naturally, don’t share too many pieces of personal information, but also you do not need to talk about what you fear, what you are ashamed of - say only the stuff that you feel okay with. If something more happens between you and the person you are talking to, that’s great. That is when the personal time will come. For now, think of the moment you are in right now, do not do anything you are unsure about. Trust will come if you and the person click and they are who they claim they are. Be sure to continue talking to them if you like them. Do not ignore the other user and go back to Chat Avenue to talk to them again. Friends are important and connections between people are as well. Do not let the distance stop you from continuing a very positive friendship or relationship. Omegle and chatroulette sites have been very useful and fun pages that anyone can use for any purpose, as long as it doesn’t offend or hurt anyone. 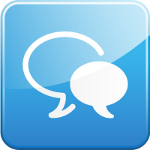 Spend time in an enjoyable way and enjoy using Chat Avenue, a cool and popular text chat.